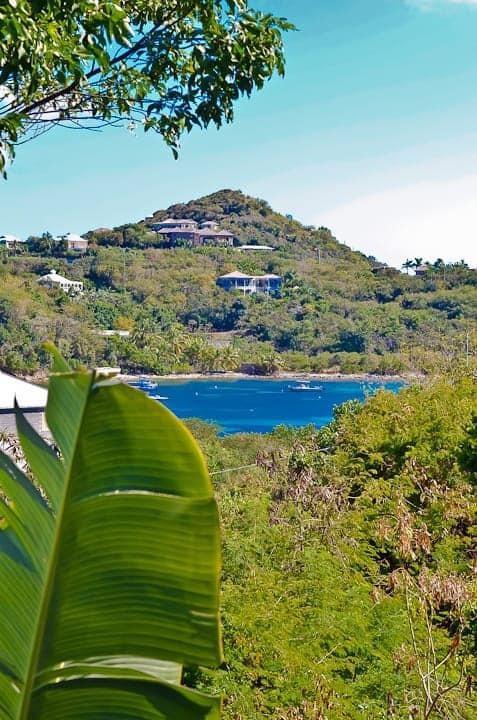 A traditional Caribbean villa nestled in a hillside garden, Ocean Garden overlooks Chocolate Hole Bay on the South Shore of St. John. 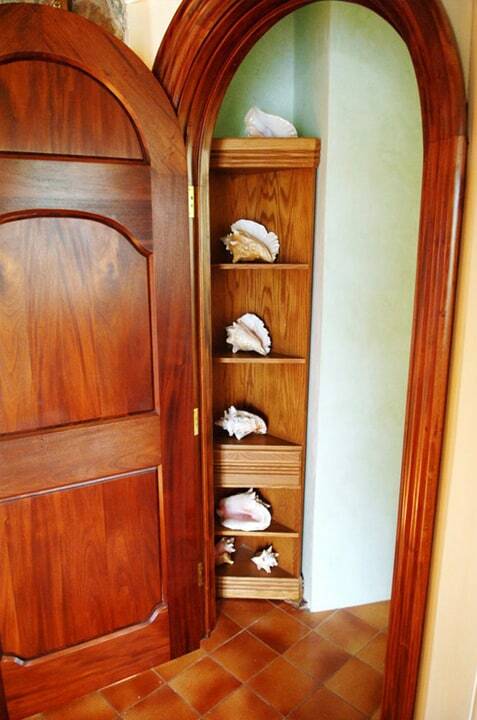 Please click on the photo, to the right, to open a full photo album for this villa! 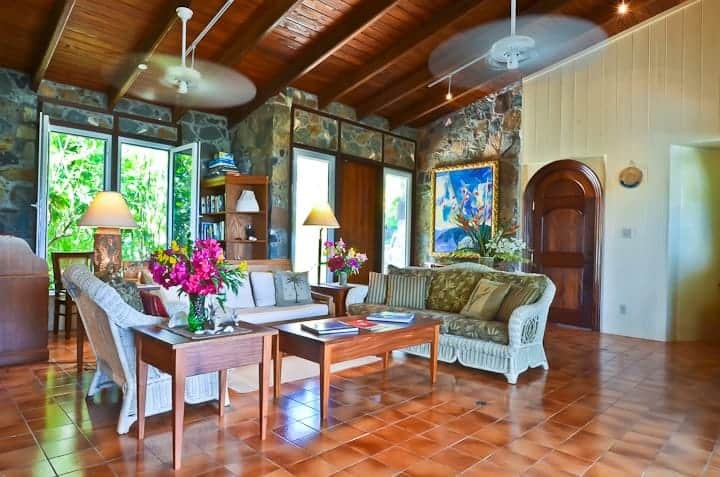 Island stonewalls & a mature tropical garden make an enchanting home for two couples. 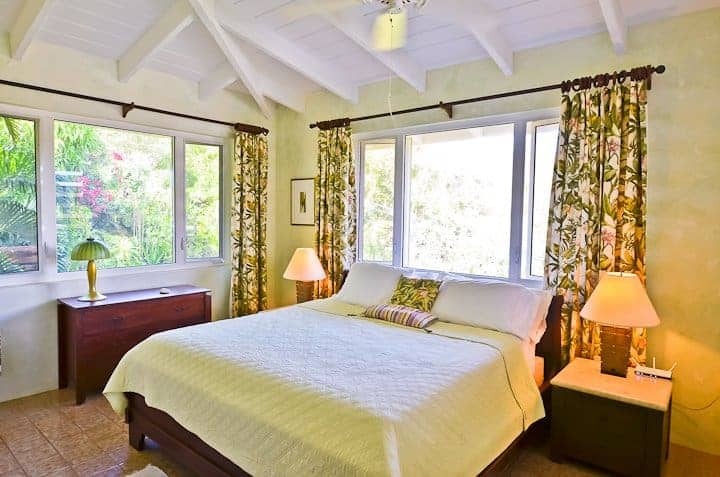 Two king master bedroom suites are equipped with air conditioning, but the island breezes make them an unnecessary option year round. 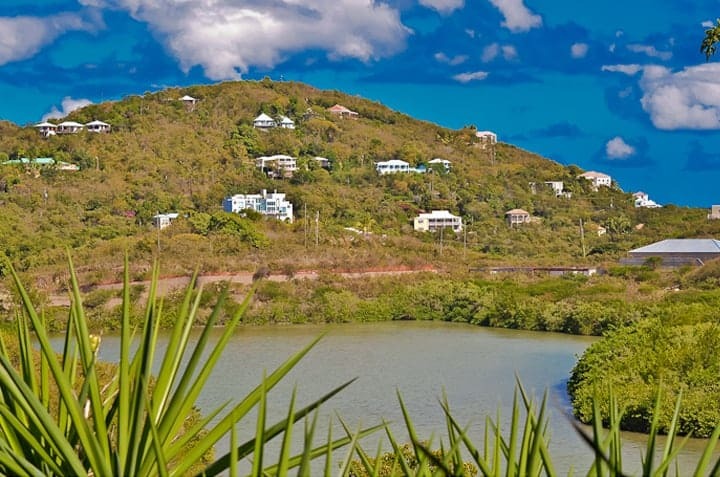 Nature is at your doorstep with the Chocolate Hole Bay and the nearby salt pond provides a nesting haven for local birds. 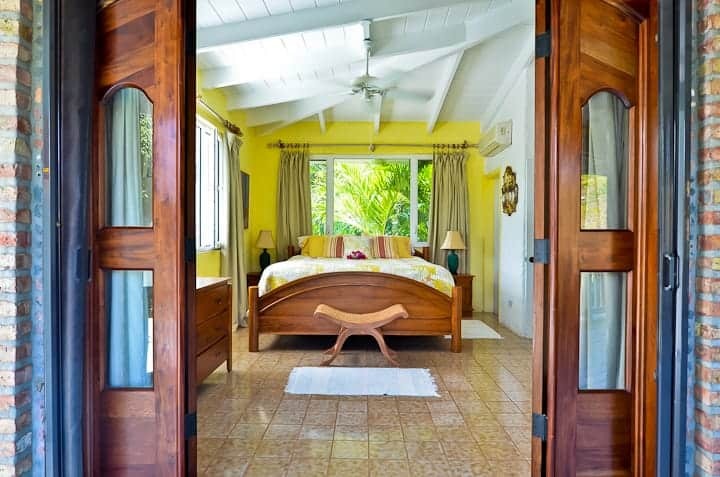 An intimate & private hideaway for two or an economical home away from home for the family. 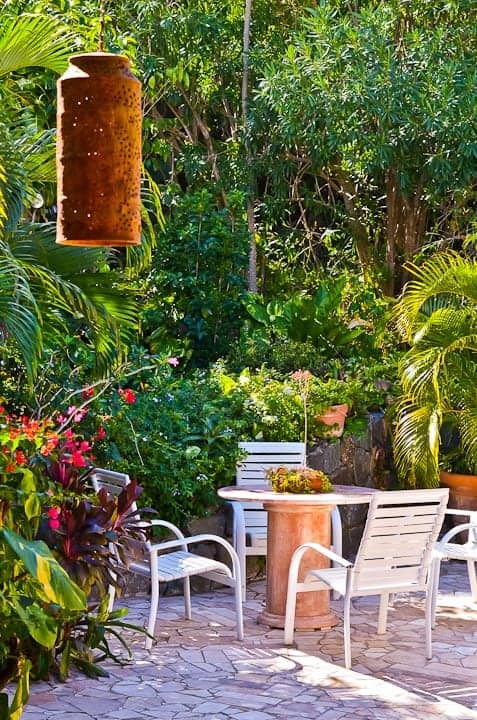 Nestled in hillside gardens with blooming bougainvillea, hibiscus & orchids and lime trees, the island fauna beckons for exploration. 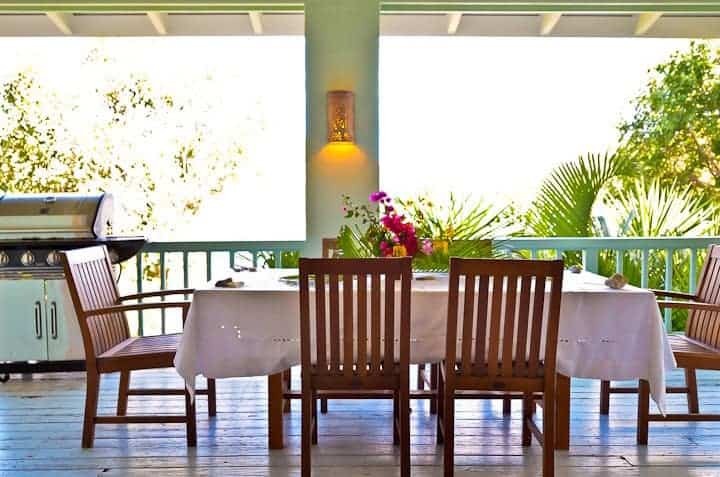 You can hear the blue Caribbean Sea lap the shoreline from your deck overlooking Chocolate Hole. 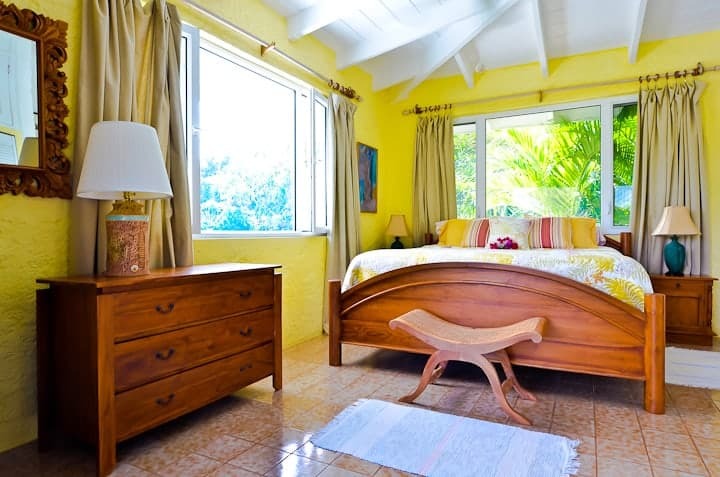 Come & stay in style & class economically just five minutes from the shops & restaurants of Cruz Bay. Two separate suites each have a full bath and king bed with ample room to spread out & relax with a 3rd king bedroom downstairs. The owner’s son – a day trader for a hedge fund based on St John – resides in a separate one bedroom apartment at the other end, with a separate entrance. 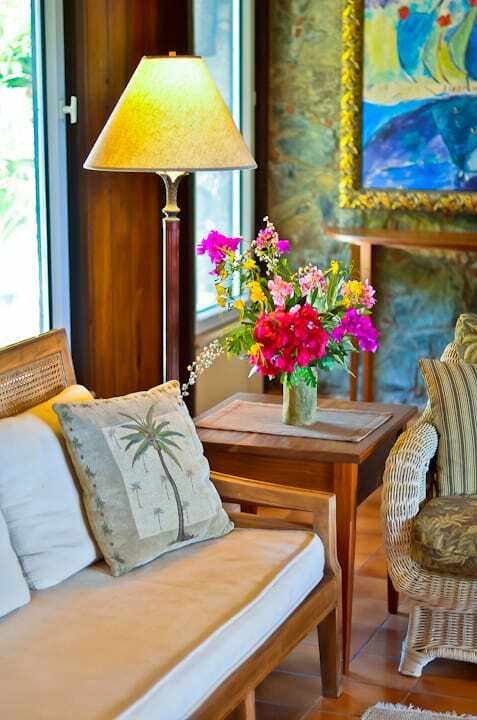 He can offer you island insights and scuba tips or all the total privacy you may desire. 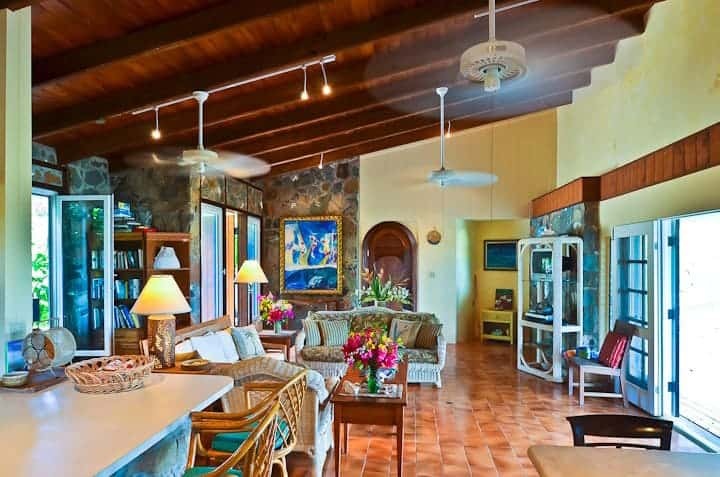 A spacious Great Room with a vaulted ceiling with large open doors open to a tranquil view of Chocolate Hole Bay. 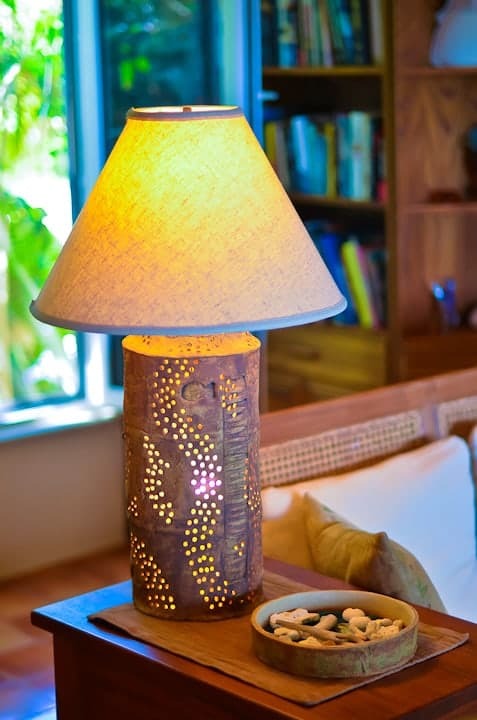 The cool, Caribbean trade winds sweep through the villa day & night. Additionally, every room is equipped with ceiling fans. 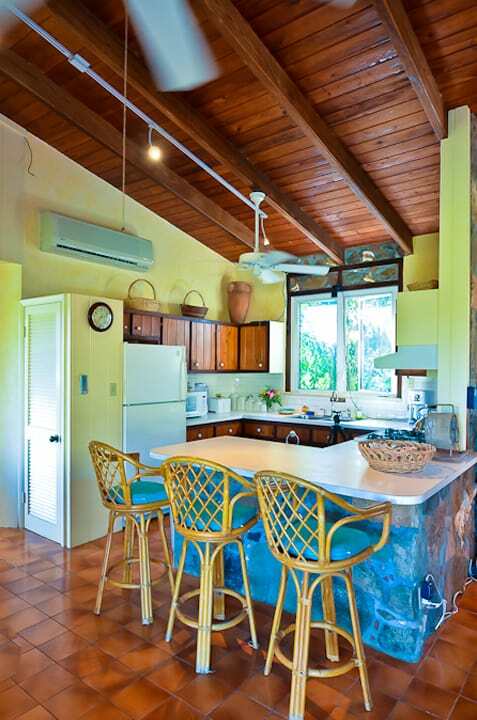 A modern kitchen with all the amenities and a comfortable bar overlook the Caribbean blue water and lend to a unique culinary experience. 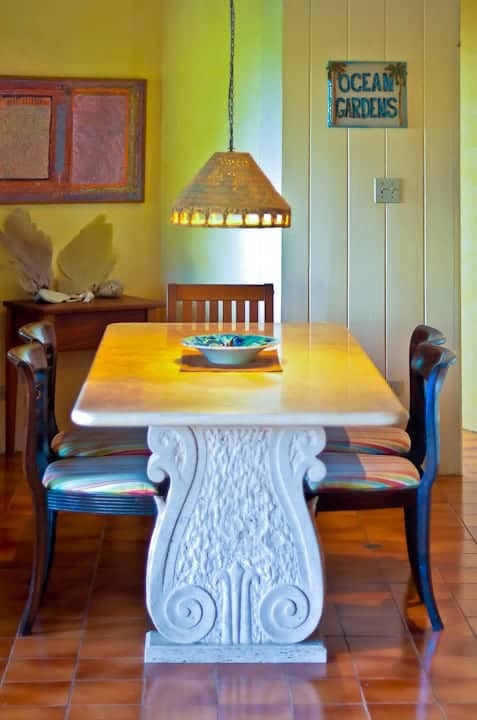 An Italian travertine stone slab dining table with a Schnell Studio weave light are situated next to the kitchen for indoor dining. 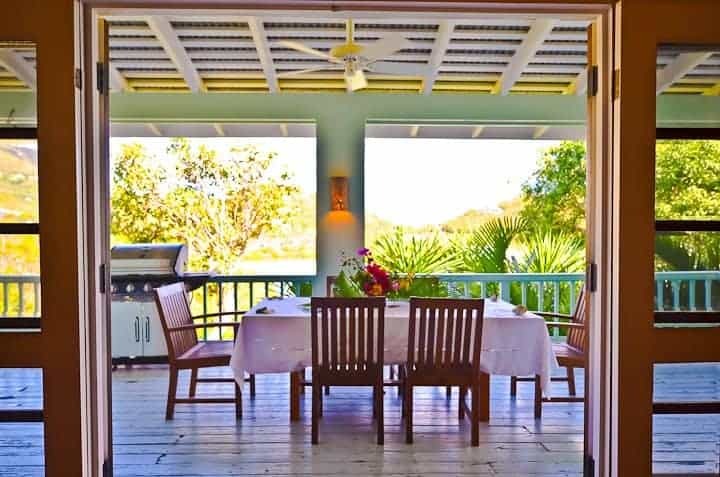 The Great Room & dining area open onto a wooden deck running the length of the villa providing an option for outdoor dining as well as additional living space. 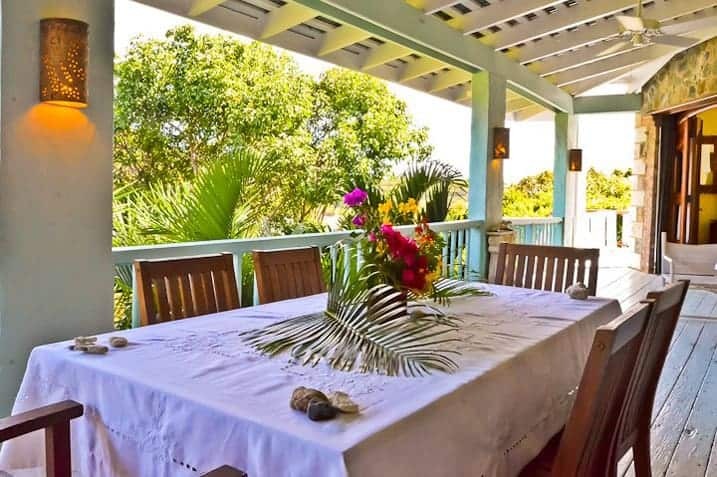 Mornings and early afternoon the deck offers bright sun while the afternoons are shady cooled as the trade winds come across the valley and the salt pond. 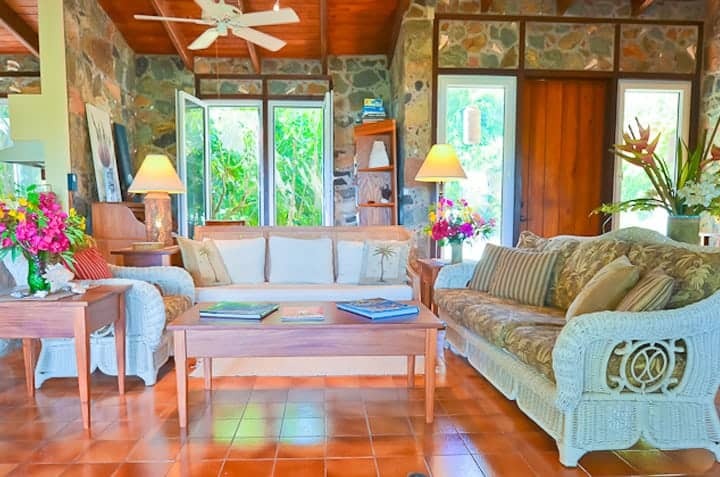 Steps lead to a short stroll to swimming & snorkeling at the Chocolate Hole Beach and a 5 – 10 minute drive to the spectacular National Park beaches. The spacious deck along the front of the house wraps around to the side, providing a home for the hot tub. 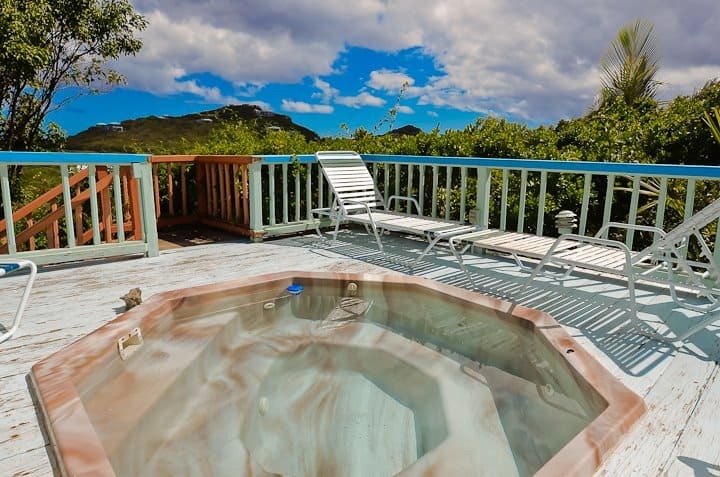 A serene water view from the deck and hot tub will soothe your soul. The deck also overlooks the natural salt pond which provides an unspoiled habitat for many native birds. The annual bird count makes this location one of its prime targets. The salt ponds are formed when run off from heavy rains collects on the land side of the beach. The pond protects the fragile coral ecosystem by capturing silt & sediment and only allowing clear water to spill over into the bay. 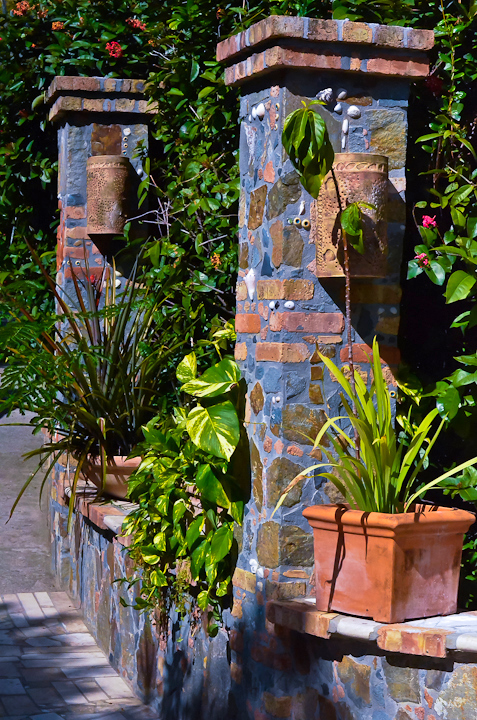 Cooling tropical breezes come across the pond year round tempering the hot Caribbean sun. We stayed at the Ocean Garden villa in April 2010. Loved the place: spacious, clean, and well organized. Beautiful Garden around the villa. 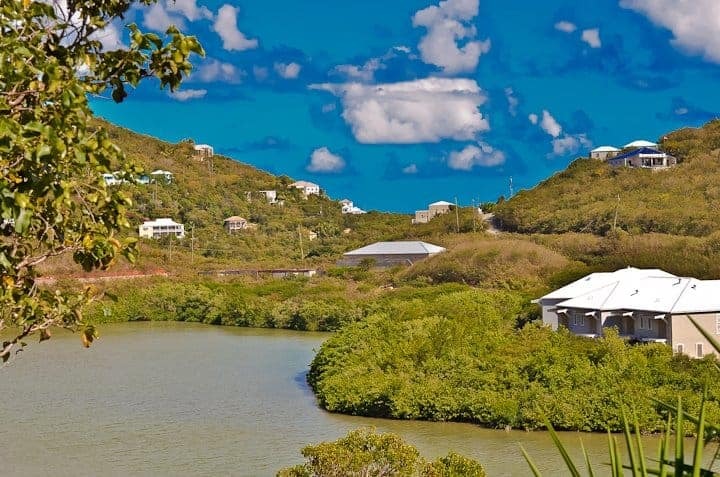 This house is perfect for a family with kids or for two couples visiting St. John. 15-20 mins by car from the famous North shore beaches. We hope to come back one day. Thank you, Don and Lucas, for taking care of us.